Dr. Jean-François Emeri was born in Switzerland. 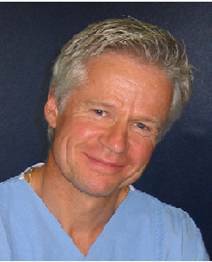 After gaining his Swiss federal diploma in Medicine in 1986 at Lausanne University, he specialized in plastic in reconstructive surgery and became head clinician at Lausanne Hospital. He extended his expertise in the United States, in New York, Atlanta, Dallas, Jacksonville and Miami. In 1995, he set up a private practice in Lausanne, and in September 2006 he became Chairman of the Swiss Society of plastic and reconstructive surgery. He has published several articles and chapters in specialized books and magazines. On the basis of his experience gained over many years, Dr. Emeri realized that preventative or restorative cutaneous care is often effective as an alternative to, or in addition to, cosmetic surgery. He worked to refine a formula that would restore smoothness and uniform pigmentation to the skin, and developed the “LACRÈM” range of products to treat cutaneous aging. The "LACREM” formula is thus an innovative and progressive concept, with new products being regularly developed.